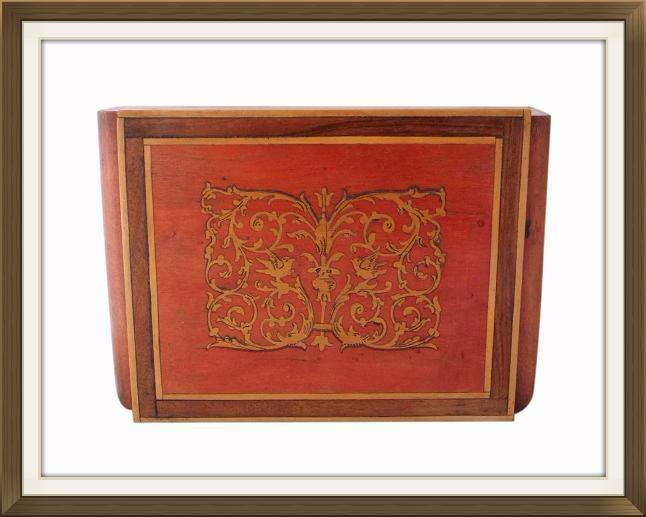 This is a beautiful Italian jewellery box, dating to the 1930s. It is in complete original condition and has its original key. 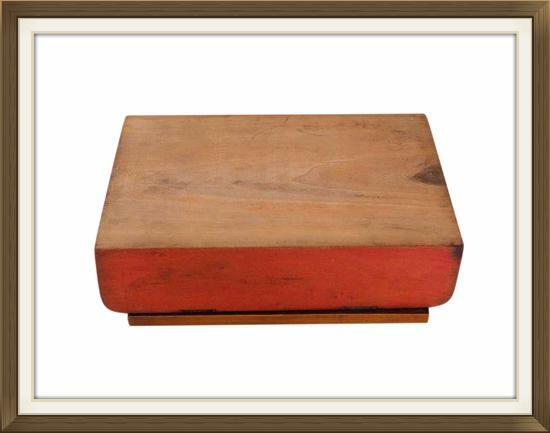 This box is made of solid Olive wood. 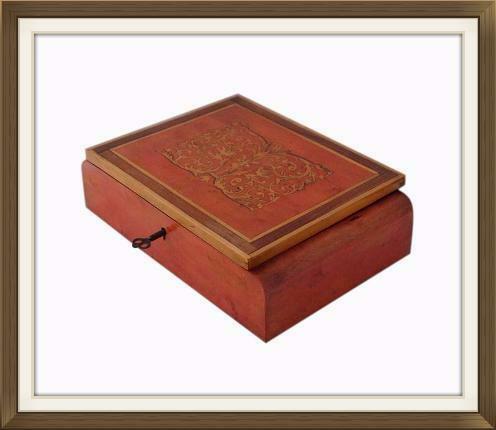 It has beautiful marquetry inlay on the lid which features birds and scrolling leafy vines, surrounded by an inlaid frame of various woods. The Olive wood to the exterior has a warm reddish stain (that to the interior and bottom has been left its natural colour). 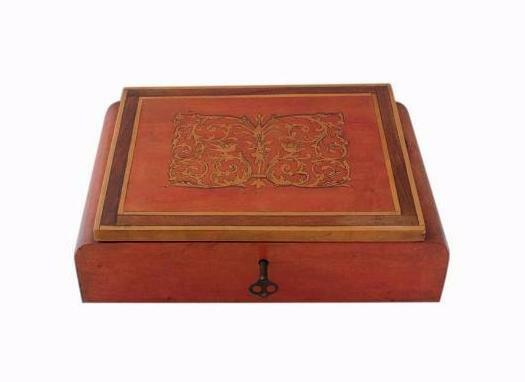 The box is complete with its original hinges, and its original working lock and key. The interior has a single storage compartment. 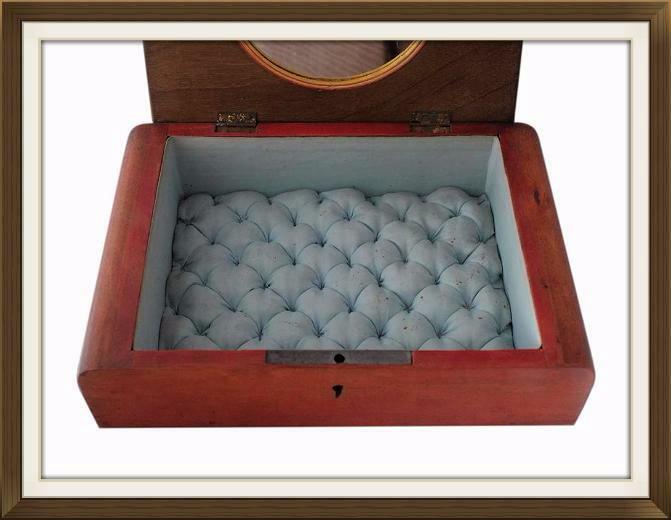 The walls of this are lined with satin, and there is a padded and quilted satin panel in its base. The satin is a powder blue shade and all of it is original. 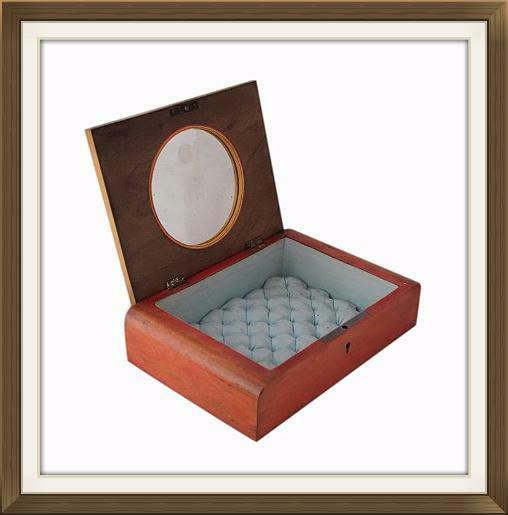 The inside of the lid has an inset round mirror, surrounded by an inlaid frame. This too is original. This box is in original untouched condition and as such it has some wear from age and use. There is some fading in areas to the stain on the exterior, and the lid has lifted slightly on the left hand side. This does not stop the box from locking. The interior satin has some stains/foxing, but no splits or fraying. The stains are as we'd expect on a box of this age which has been loved and used for its purpose. This adds charm to the box in our opinion, but please take this into consideration before purchasing the box. Stained interiors do not suit all tastes. The mirror has some cloudiness and light surface scratches, but no cracks or chips. 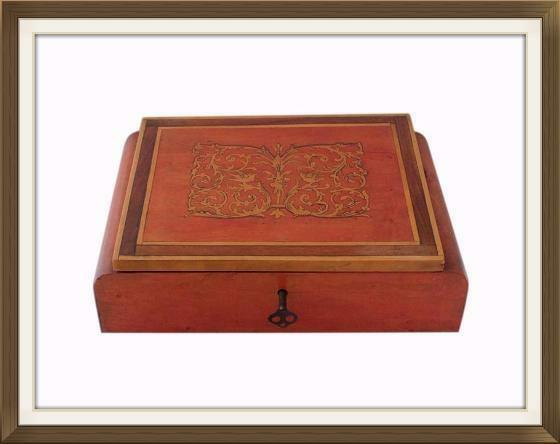 All of the inlay is present and intact and the box locks securely. 16.0 by 12.0cm with a 4.0cm depth. International postage is by Royal Mail International Tracked/Signed. Delivery is fast, within 3-5 working days to Europe, and 5-7 working days to the rest of the world.